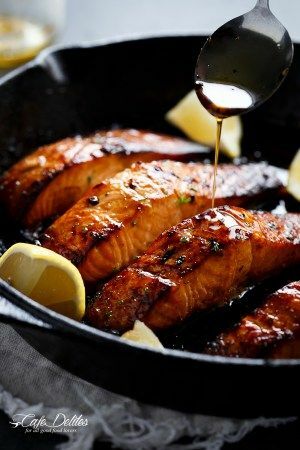 Grilled Browned Butter Honey Garlic Salmon | FoodGaZm..
Just made and us made and enjoyed this for our supper tonight. Very easy directions to follow and love making something new with ingredients on hand! This was wonderful!! I served with my left over garlic mashed potatoes and steamed broccoli, snow peas, carrots and onions. Just perfect after a rough day. Pinot Grigio was delightful as well.